Raipur: Three wagons of a goods train and its engine got derailed after Maoists allegedly ruptured a railway track in Dantewada district of Chhattisgarh. The railway administration has undertaken the track restoration work. “Maoists damaged a rail track on Kirandul-Visakhapatnam route that falls under Bhansi police station limits, due to which three wagons of a goods train and its engine got derailed,” Dantewada Superintendent of Police Narendra Khare said over phone on Saturday. According to the police officer, on Saturday was the last day of their ‘Dandakaranya bandh’, which had been on since the last week. Hours before Bharatiya Janata Party prime ministerial candidate Narendra Modi’s arrived on his scheduled poll visit to the Bastar region of Chhattisgarh, Naxal rebels targeted the industrial facility of Essar Steel in Kirandul of restive Dantewada district on Friday afternoon. The Naxalites set 17 trucks parked at the loading bay on fire around 1.45 pm and locked the drivers, conductors, and company employees before departing. Chhattisgarh is a BJP-ruled state. The speculation is that the attack was timed on the day of Modi’s visit, to send a message. Essar has set up an eight million tonne per annum (mtpa) beneficiation plant near Kirandul to supply high-grade iron ore to its pellet plant in Visakhapatnam. The material is pumped as slurry through a 267-km pipeline, the second longest in the world, to Vizag. Naxals had earlier damaged the pipeline and the company was transporting the ore by road. The parked vehicles were waiting for loading when the around 200 armed rebels struck. They rebels did the job and then melted into adjoining forest. The spot is hardly a kilometre from the Kirandul police station. The filthy scramble for seats. Casteist and communal calculations in evaluating candidates’ prospects. A sickening repetition of false promises. Crores of black money pumped in to buy allegiances and votes – make no mistake, that ugly spectacle of parliamentary elections is on. The rulers tell us that this is our golden opportunity to make choices. The daylong bandh called by the CPI(Maoist) on Thursday crippled normal life in the hinterlands. The banned outfit had convened the bandh to protest against the killing of 15 commanders, including Lalesh Yadav, the spokesperson of the Bihar-Jharkhand North Chhattisgarh Special Area Committee (BJNCSAC) last year in March, by rival outfit, the Tritya Prastuti Committee. However, no violent incidents were reported from any corner of the state till the time of filing the report. The Maoists had put up posters and banners in several places of the state in the past few days, asking people to boycott the polls. Markets in Maoist-dominated areas remained shut while long-distance buses and other heavy vehicles stayed off the roads across the state. (a) Duration 10 -30 AM sharp to 6PM. ** Lunch Break – 1.30 to 2 p.m.
(h) 6th Session from 4.45 to 5.30 PM: Adoptions of resolutions and proposal action programme. (i) End Session: Thanks giving to the chair & audience (by ACRA). We invite all CL/HR activists and concerned people to be present in the Convention. 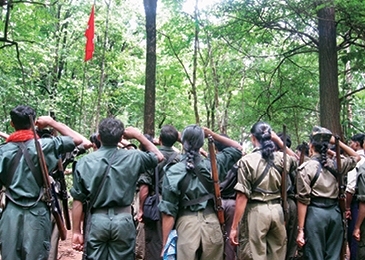 Maoists paste anti-poll posters, circulate handbills in villages. Within 72 hours of a joint meeting conducted by Jharkhand and Bengal’s police officers over controlling Maoist activities during elections, the rebels have thrown down the gauntlet to the cops. 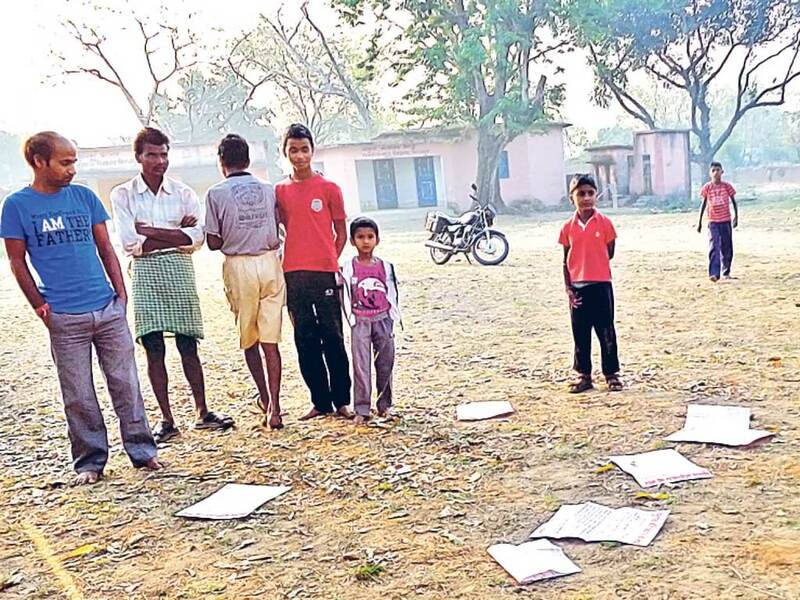 On Tuesday night, they pasted anti-poll posters and circulated handbills among people in over a dozen villages under Govindpur block around 15km away from district headquarters. 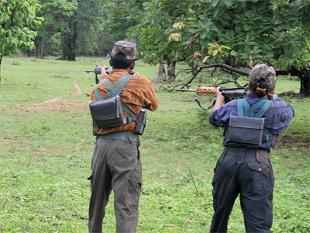 The Maoists’ action has spread panic among the voters in the region. The polls would be held here on April 24. 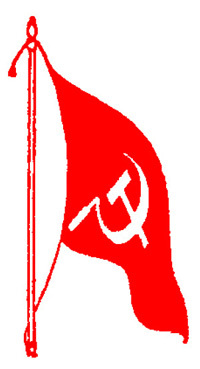 The posters and handbills that have been issued by the Jharkhand Regional Military Commission – CPI(ML) have directed the villagers to boycott the election and drive out the ‘fascist’ CPM, Congress and BJP from the election field. In the posters, the Maoists have demanded release of their jailed leaders and workers, immediate ban on ‘Operation Green Hunt’, check on price rise, corruption and police atrocities on innocent villagers. An eyewitness said that a group of 25-30 people stormed into the village on Tuesday night and pasted anti-poll posters on the walls of houses, school buildings and at public places. They also distributed handbills in every house, he added. The Maoists pasted posters in Tilaiya, Gurga, Birajpur Chawk, Birajpur High School, Sadhobad, Barbadih, Kharni Vidyalaya, Aasbani, Yadavpur and Kharni More near GT Road. 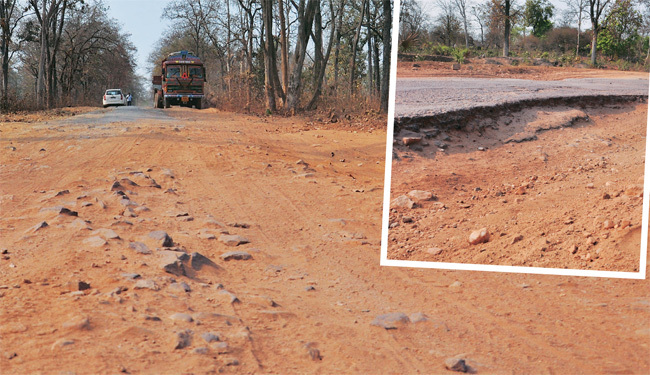 A nexus between Maoists, construction contractors and government officials has hit the development of key infrastructure like roads in the rebel strongholds of Chhattisgarh, hampering anti-insurgency operations ahead of the polls. The abysmal condition of important roads has slowed down mobilisation of troops and proved a major handicap for security forces. A major national highway that runs through Maoist citadels in Sukma is virtually non-existent for about 80 kilometres.